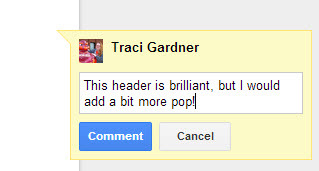 We are using the Comment feature in Google Drive for peer review. The instructions below explain how to set up sharing, so that you and your partner can exchange documents online, and then how to add comments to specific sections of the document as well as to the entire document. 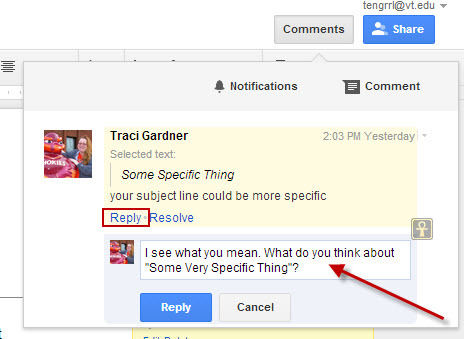 Locate your rough draft on your Google Drive. The document needs to be a Google Doc, not a PDF. If you aren’t sure that your document is the right format, follow the instructions for Converting Uploaded Files Manually and convert your file if necessary. 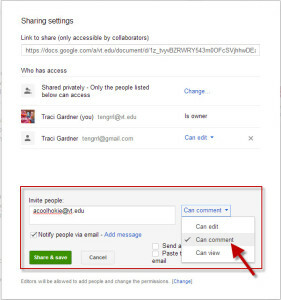 Once you have clicked DONE on the sharing dialog box, your partner check email for the sharing link. 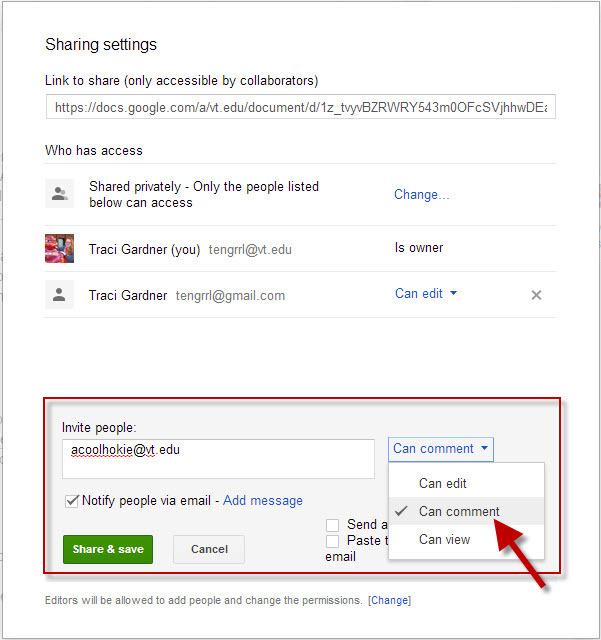 Your partner clicks on the share link in that email to open the file. The Lynda video on “Working with files that are shared with you” can help if you run into trouble. 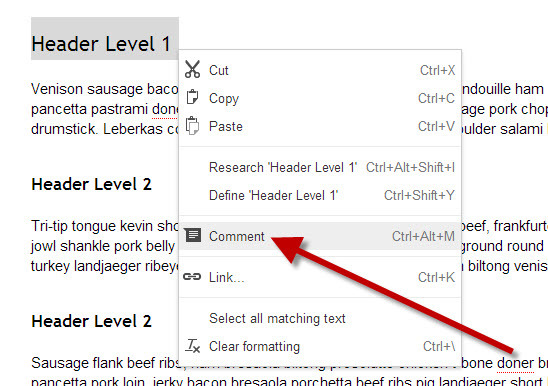 Click in the document near the text you want to comment on, OR highlight the related text. 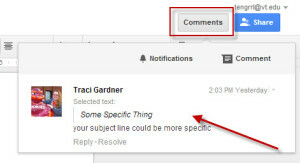 Type your comment in the box, and click the Comment button to add the comment to the document. Highlight the text in the comment that you want to comment on. Read the all the comments for the document in the dialog box that appears in the right margin (marked with the red arrow above). Click on a comment in the dialog box, and the document will scroll to the related text where the comment was inserted. To reply to a comment, click on the Reply link under the comment (marked with the red rectangle below). Type your response in the box that appears (marked with the red arrow above), and click the Reply button to add your response. Read the related comment in the right margin, where it will appear in a dialog box (marked with the read arrow above). Click in the box that says, “Reply to this comment” to add a reply. Click the Reply button when you have finished typing to add your response.